Thank you to all who attended the WiTR networking cocktail event in Orlando during the Summit of the Americas, and to all those companies who donated so generously to our raffle and silent auction! WiTR raised more than $4,000 for Hand in Hand for Haiti, more than enough to continue the sponsorship of our child there! Special thanks to Edrington Travel Retail Americas who supplied all the spirits for the cocktails, and to Tito’s Handmade Vodka, who donated a number of the special auction gifts. TMI will carry a more detailed report in a future issue. The inaugural Summit of the Americas, which combined elements of both the traditional exhibition of the IAADFS Duty Free Show of the Americas and the annual conference held by South America Duty Free Association ASUTIL, received mixed reviews from attendees, with some predicting an uncertain future, while others reported a full schedule of productive back-to-back meetings. The event organizers, IAADFS President & CEO Michael Payne and ASUTIL Secretary General José Luis Donagaray, told trade media that they were satisfied with how the first event went, but said that combining the two events was a process, and more improvements will be made next year when the event takes place in a new venue. 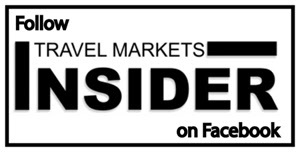 See TMI’s review of the event beginning on page 1, Inside Insider. NOTE: The 2019 Summit of the Americas will be held March 24-27, at the Hyatt Regency Orlando. ACI: Passenger traffic nears 1.5 billion in the world’s busiest airports in 2017, up 5.2% over last year. ATL retains its #1 ranking, followed by Beijing and Dubai. Full story on page 3. LVMH reports strong growth in 1Q 2018, with an excellent start to the year from DFS. Despite unfavorable exchange rates and geopolitical uncertainties, the company says “the buoyant environment” of the beginning of the year, helped drive revenue up 10% to 10.9 billion Euros. Page 4. It is now less than 100 days until Round 1 of The Open golf tournaments, and the start of Loch Lomond Whiskies 5-year partnership with one of golf’s most prestigious events. Meanwhile, three of Loch Lomond’s single malts won Best in Class accolades at the 2018 World Whiskies Awards. Page 5. South African liqueur Amarula is featuring its African heritage with a collection of four limited edition bottles created in collaboration with African artists and designers from all parts of the continent. The Travel Retail exclusive range will be showcased at the TFWA Exhibition in Singapore next month. Page 5. Haleybrooke International has added Austria’s Mozart Chocolate Liqueur to its TR/DF portfolio. Page 5.